The RDV-1 was a legend from the DVD era. The latter two is what makes this player a class beating CD player om any price category of CD players. So whether you are getting this as a video playback player or an audio player for a stereo system, the RDV-1 will do well in either situation. Fully functional. Works good. Great for surround sound. Inputs: RCA (3 audio sources), RCA (5.1 channels). Outputs: RCA (to record line), RCA (5.1 channels). Weight: 14.5 lbs (6.5 kg). CROWN AUDIO CP660. 6 Channel Amplifier Amp. Works Great! Dual-Way 6-Port Stereo Speaker Selector Amplifier Switch Selector. 6-Way Stereo Speaker Amplifier Switch Selector. Connecting multiple amp/receivers to one speaker pair as amplifier selector. Connecting multiple speakers to one audio amplifier/receiver as speaker selector. Up for auction is a Kustom KHS6640 Six Zone Amplification System Six-Channel Audio Amplifier. It does not come with a power cable. You will have to purchase one separately. I used my own to make sure it at least powers up. It's not fully tested but I will guarantee it. Some light cosmetic scratches and scuffs. Please ask me any questions before bidding. Audio Design Associates/ADA PTM 6150 Select Series. 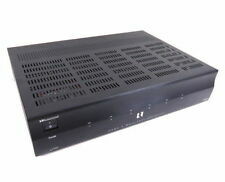 New Without Box Xantech Model AV-61 Audio Visual Distribution Amplifier. Xantech AV61 Features. Drives up to six audio/video components from a single A/V source. 6-Port Stereo Speaker Selector Amplifier Switch Selector. 6-Way Stereo Speaker Amplifier Switch Selector. Connecting multiple amp/receivers to one speaker pair as amplifier selector. Connecting multiple speakers to one audio amplifier/receiver as speaker selector. Make: Technics. 6 Channel Discrete Input. There are surface marks and light scuffs on the body from regular use and handling. Does not include a remote. Tested and works well! What is the history of the item?. Parasound has introduced the CSE 6.1 Center Surround Expander that can process program materials encoded for THX Surround EXô or DTS-ES Matrix 6.1 processing. It derives a matrix rear center channel output from the left and right surround channel signals. UP FOR SALE USE PARASOUND P/SP-1000 AV PROCESSOR/PREAMPLIFIER IN EXCELLENT CONDITION. I had the 5.1 output from my blu-ray player and SACD player attached to this unit in my spare bedroom. The unit works, sounds great and look mint inside and out. It has balanced output. Local pickup prefer as we can power up the unit for your review. Xantech AV61 Features at a Glance. Drives up to six audio/video components from a single A/V source. This item is part of a warehouse clearance. Sales to continental US ONLY. This unit was part of my collection in my spare bedroom. I am redoing the spare room as a sewing room for wife and this is no longer needed. The unit works, sounds great and look mint inside and out. This was removed from a TASCAM audio mixer, it will takes from 7 to 16 vdc to operate (a standard 9 volt battery would work). I have included both mating parts of the connector, so you can actually wire the socket into your circuit, or to an inter connect cable, then plug in this VU panel. 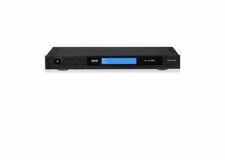 You are bidding on a new open box Nuvo NV-P4300 3 Zone Portfolio Player. Built-in access to streaming services- Spotify, iHeartRadio, TuneIn, Napster, Deezer and SiriusXM Easily play music from networked computers, and iOS and Android devices Back-lit touch screen supports easy setup with visible system status, zone names, and more A single rack-mount unit delivers high fidelity audio to three independent zones Efficient Class D amplifiers with 110 watts per zone at 8, 6 or 4 Ohms We are not a Nuvo dealer so we are listing this unused unit as new:other. Save Huge on this rare find. Russound CAM6.6T Whole-House Audio Controller With Built-In AM/FM Tuner. 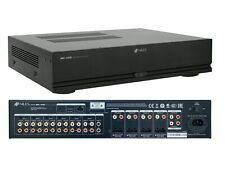 USED Russound CAM6.6T Whole-House Audio Controller With Built-In AM/FM Tuner.. Condition is Used. Shipped with USPS Parcel Select Ground. UP FOR SALE IS SPEAKERCRAFT EAZY6 6-ZONE PREAMPLIFIER. OUTSIDE THE UNITED STATES. WE WILL HELP TROUGH THE PROCESS OF GETTING YOUR MONEY AS MUCH AS POSSIBLE. THE ONLY VARIATION OF THIS IS IF THE ITEM YOU RECEIVE IS NOT THE ITEM YOU BOUGHT. SEE SEE PHOTOS FOR SPECS ON AMP. I DO NOT KNOW MUCH ABOUT THE AMP BUT IT DOES WORK FINE. Used SpeakerCraft MZC-66 Amplifier. Good condition. Both Tested & All Zones Working. Both have scratches on top of unit. See pictures: First half (6) pictures are of the 1st unit and the Second half (last 6) is the 2nd unit. Six Input Line -Level Stereo -Source Selector. - Accommodates six sources. - phono jacks. Kustom KHS6640 Six Zone Amplification System Click on the DESCRIPTION field to see all the photos. Your music is always in hand with built-in access to streaming services and the ability to play content from networked computers and your iOS and Android devices. Efficient Class D amplifiers with 110 watts per zone at 8, 6 or 4 ohms. 6 single ended(RCA), 1 XLR output or single ended output. It takes the 5.1 surround signal and expand it into the back surround (7.1) setup. This unit was part of my collection in my spare bedroom. I am redoing the spare room as a sewing room for wife and this is no longer needed. Kenwood VR-7060. Stereo Receiver / Amp. 100 Watts all channels. No visible wear. Not a scratch, not a bump. functional condition. We will include a power cord but no other accessories will be included. ELAN Z Series Power Amp. Model: Z 660 power amplifier. Power Amplifier. Power test: Powers on red light. Correct the situation. We will make every effort to. BB6 R030917-04. If there are any problems. We make every effort to be accurate. 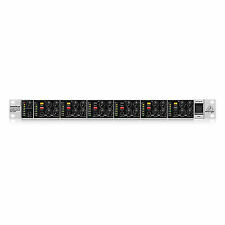 The MRC-6430 distributes up to seven audio sources (including the internal stream) to up to six zones. Streaming Sources Streaming is now built into Auriel, and most popular favorites are included: Spotify, Pandora, TuneIn, Tidal and others.